Strokestown Park was the family seat of the Mahon family from 1653 until 1981 and is infamous due to the events of 1847, when Denis Mahon was the first landlord to be assassinated during the Famine period with repercussions as far as the Vatican, Rome and The British Parliament, London. 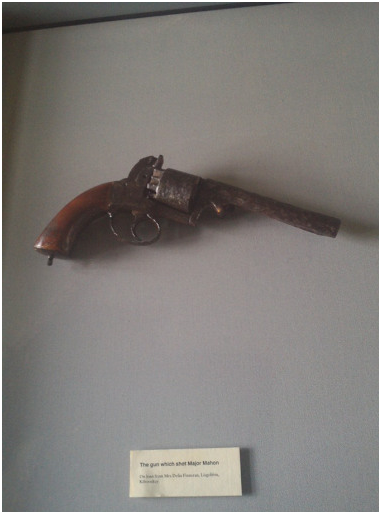 The gun used to shoot Major Mahon is on display in the Famine Museum. In the 1970s houses such as Strokestown Park faced a precarious future and their value lay mostly in the adjoining land. In 1979 the house and estate were purchased by the Westward Garage Group and a chance discovery of boxes containing documents secured the fate of Strokestown Park. 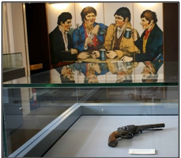 Realising the significance of the material, Jim had the foresight to recognise that Strokestown Park was a unique resource that spanned almost 350 years of Irish history. His company, the Westward Group, have supported this initiative since that day through a continuous programme of restoration work. 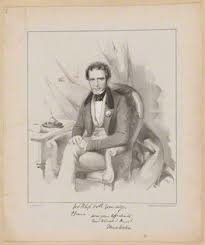 This has included restoring the house and gardens and establishing the first Famine museum in Ireland in order to preserve and share this important part of our heritage. 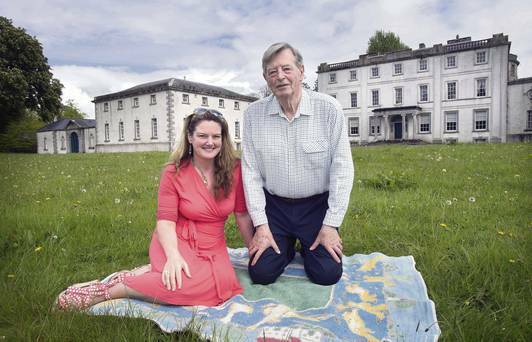 The Irish Heritage Trust has been working with Strokestown Park and the Westward Group since 2010 to help secure the future of this special place. On 1st August 2015 the Trust became responsible for the property, team and the archive. The Trust will continue the work to restore and care for this place, supported by the Directors of the Westward Group, to create a sustainable operation for future generations.